New Orleans, LA (PRWEB) — Low Suds Concentrate, a powdered commercial laundry detergent manufactured by Snee Chemical Company, is available for immediate purchase online at WorldwideJanitor.com. 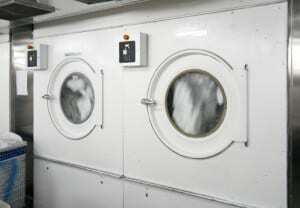 It can be ordered in bulk sizes for high volume washing needs, making it an economical choice for consumers. Scientifically designed to suspend soil in the water, this chlorine-free, biodegradable detergent contains optical brighteners that enrich colors and brighten whites, without sacrificing its ability to remove the toughest industrial dirt and grime from a wide range of fabrics including heavily soiled institutional linen. This product (https://worldwidejanitor.com/laundry-products-c-82/low-suds-concentrate-p-306) won’t leave soap scum or film, and is ideal for both home and institutional applications–though dilutions will vary according to soil load and washer size. It is sold in bulk quantities including 50lbs pails and pallet quantities of 24 pails. The mission of Worldwide Janitor is to transform the industrial supply market by providing easy online ordering for products that are normally only available through word-of-mouth or small distributors who sell to local businesses. The online company launched in January of 2013, bringing these products to the general public for the first time. For more information, visit https://worldwidejanitor.com or call 1-888-252-6284. This entry was posted in Laundry, News and tagged commercial laundry, laundry detergent, low suds. Bookmark the permalink.